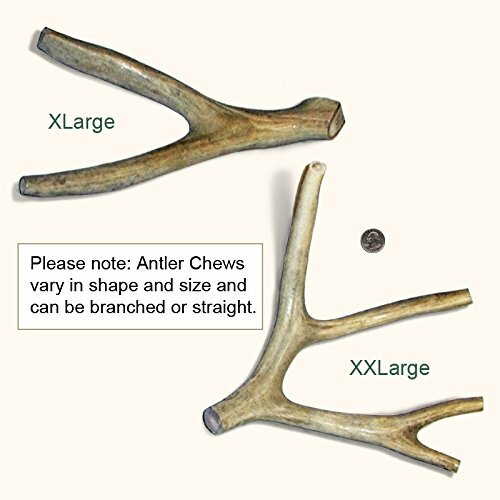 X-Large Size Antler: Best for dogs under 45 lbs and up. The antler chew weights 7 to 10 oz and is 8" to 10" long. We have all sizes available. Long-Lasting & Odor Free! : Antler chews by Pet Expertise last much longer than bully sticks or chews made of compacted starch or rawhide. Antlers have virtually no odor or residue to get on your carpet or furniture. Safe & Healthy! : Deer antlers for dogs are much less likely to chip or splinter when they are being chewed than processed bones. The chewing action grinds the antler chew down slowly. 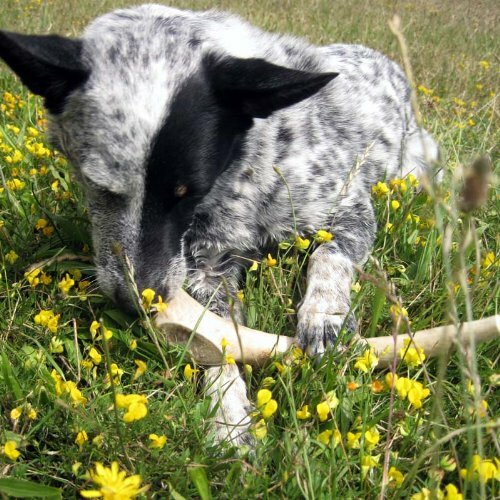 Chew antlers contain many beneficial nutrients and nothing artificial. Why Buy from Pet Expertise? : Our antlers are fresher, more economical and much larger than most you will find, and our shipping prices are low! Pet Expertise Antler chews are natural, healthy, odor-free and long-lasting chew toys that will help keep your dog busy and out of trouble and will help keep his teeth clean. Our antler dog chews come right out of nature from North American deer and elk and are completely unprocessed!